Start by choosing your racquet head. iDapt frames come in four different racquet head constructions: the 98, 100, 100S and the 105. 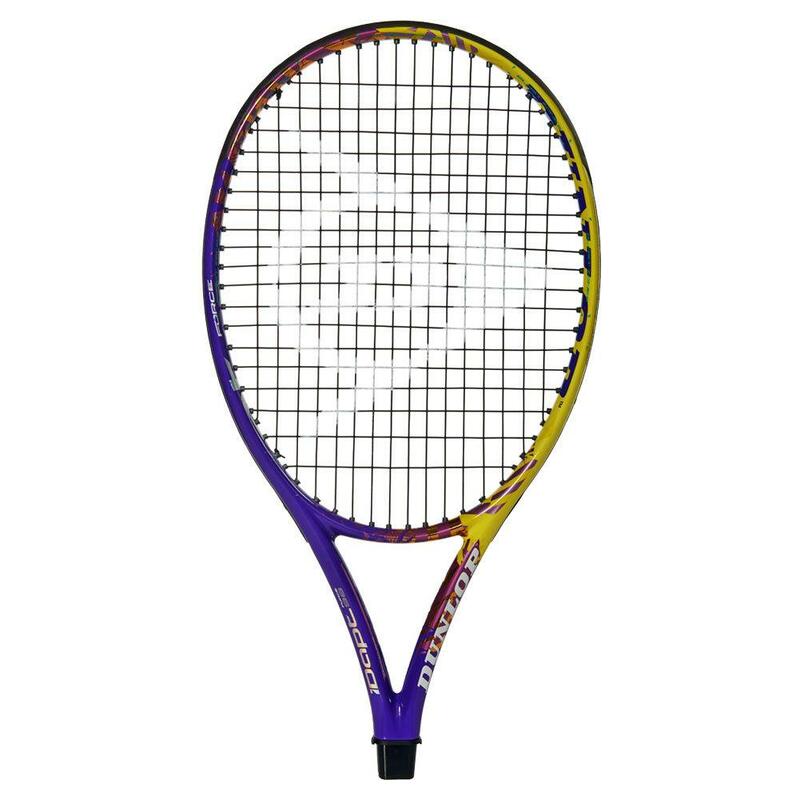 Each number corresponds with the racquet head size (in square inches) with the added option of the 100S, which features a 14×18 string pattern for maximum spin potential. Each racquet head is equipped with Aero Boost Grommets, featuring wider holes and parallel drilling for a larger-feeling sweet spot and increased feel on contact. But that’s not all! Behind door number one, you’ll find that within each frame size, there are three unique choices for cosmetics. Sounds pretty awesome, right? It gets better. 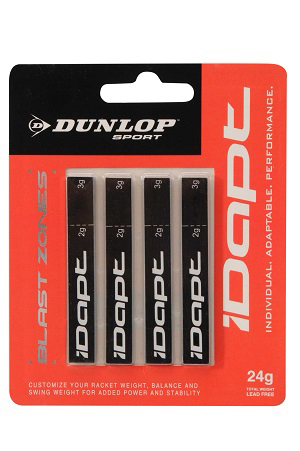 Just below the throat of the racquet, Dunlop has made room for an interchangeable element called a Shock Sleeve. Depending on which of the three options you choose, you can create a firm, medium or soft feel on contact. The firm option will provide low shock absorption for maximum response; the medium option creates a blend of response and comfort; and the soft option allows for high shock absorption and maximum cushioning/forgiveness. The “firm” Shock Sleeve is for players looking for maximum feedback upon ball impact, while the “soft” Shock Sleeve will attract those seeking an arm-friendly stick. 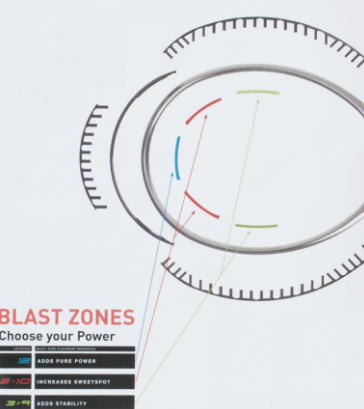 You can also add customizable (of course) iDapt Blast Zones to your frame to increase power or stability. These weighted strips are strategically placed around the inside of your frame (at the 12 o’clock, 10 & 2 o’clock and 3 & 9 o’clock positions) to increase power, increase the sweet spot and/or add stability. The final piece of this tennis-lover’s puzzle is the racquet handle. You can choose the standard length for a racquet measuring 27 inches long, or you can extend your reach with an extra half inch. Of course, each grip comes in the standard 4 through 4 5/8 sizes. Once you’ve chosen your iDapt elements, we will assemble your custom-made frame, string it up and load it into our hovercraft, which will arrive at your door in three to five days. Kidding, kidding. But seriously – iDapt is the future of tennis technology.